Media is all around us. Students need to be able to analyze media in the classroom and in their daily lives. 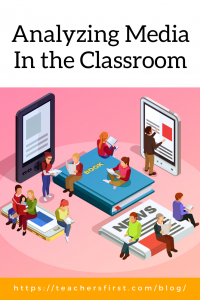 Analyzing media should be one of the first media literacy activities to be incorporated into the classroom as it is one of the easiest activities to integrate. 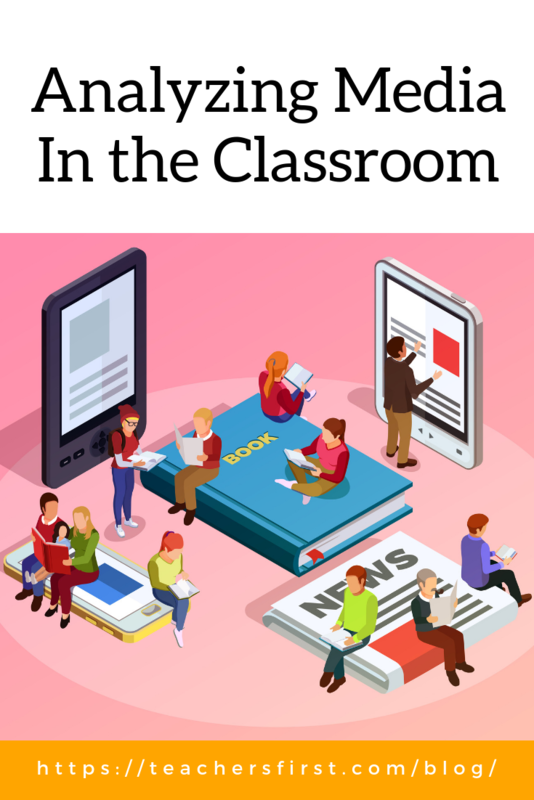 Teachers use media in the classroom to present concepts, show examples, broaden perceptions of the world, differentiate content, aid in student retention of information, and more. Students are more engaged when teachers use a variety of media in the classroom. Students also encounter a wide variety of media in their daily lives. Analyzing media takes many forms. With so many types of media that can be analyzed, it can be hard to choose what tool will work best. Do you use a general tool like the Project Look Sharp key questions? A general worksheet? Do you use a selective tool like how to analyze a video game for specific types of media? The answer is you use what tool best fits the media you are using or is the best fit for your students. You are the best judge! There are a variety of minilessons, lesson plans, guides, and activities for analyzing media available no matter what subject you are teaching. The Library of Congress offers information about analyzing historical media messages. PBS provides lessons for elementary classes as well as a guide to analyzing primary sources. The Institute for Humane Education produced 11 lessons about analyzing advertising with a global slant. You can even teach analyzing media using Superbowl ads or Disney! Do your students enjoy interactives? If so, there are many interactives available to teach analyzing media. Using My Pop Studio (reviewed here), students can go behind the scenes of their favorite type of media. The Gendered Advertising Remixer (reviewed here) allows students to remix toy and lego ads. Using interactives students can analyze primary sources, songs, advertising, or even shopping malls. Overall, the ability to analyze media becomes more critical as the amount of media produced daily increases. Analyzing media is a cross-curricular skill that should be taught in all classes through the lens of the subject to show students that analyzing media is a useful and necessary skill that is valued by all teachers. This is the second post in a Media Literacy in the Classroom series. See the first post here.